The Triumph name has been around for over a century and today it is only seen on motorbikes; however they have produced bicycles and cars, notably a range of sports cars. Triumph was originally founded in 1886 in Coventry by Siegfried Bettmann who had emigrated from Germany two years earlier and had set up an importation company bringing in bicycles and other items from Germany. He rebadged the bicycles with his own name until he bought some land in Coventry and set up his own manufacturing plant making bicycles called Triumph. Funding came partially from Dunlop – clearly they were seeing an opportunity to sell more tyres! As an aside, the Triumph underwear company was also founded in Germany around the same period, so it must have been a popular name at the time! In 1896, Bettmann set up a second factory in his home town of Nuremberg to make Triumph bicycles for the German market. By 1903 both factories had started to manufacture motorbikes as well. Interestingly, Triumph motorcycles were standard issue for the Allies during WW1 despite being owned and run by Germans! During the early 1920s, Triumph bought the Dawson Car Company’s factory in Coventry and started producing cars in 1923 under the Triumph Motor Company name. AJ Dawson had worked for Hillman and reckoned he could build his own cars. All his components were built in-house and they were very expensive for the market segment they were targeting and the company failed. Triumph picked up the scraps and tooling. In the 1930s the German side of the original company was merged with Adler to form Triumph-Adler and production of motorcycles continued in Germany until the late 1950s. Triumph also sold the bicycle division to Raleigh who continued to use the Triumph name for those products. By this stage the car and motorcycle companies had split completely as the car division had caused the company to collapse. The motorcycle division was bought by Ariel with the car company struggling on with outside financial backers who put Donald Healey at the helm. Healey would go on to develop other sports cars including the Austin-Healey and Jensen-Healey models. 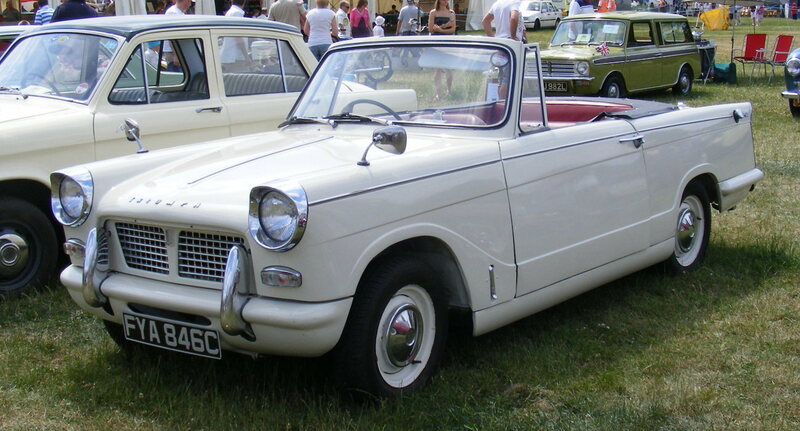 In 1944 Standard bought the company and new Triumph roadsters and saloons were created. Then the company decided to rebrand the two marques: Standard made the saloons and Triumph the roadsters and sports cars. 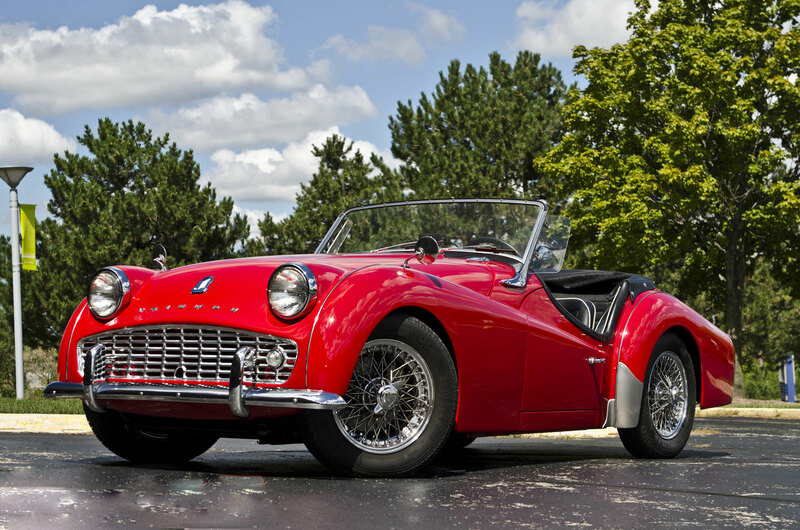 This was when the first of the TR series was launched: the TR2 with a 4 cylinder Standard engine. The Standard marque survived a further 10 years as the Triumph name was becoming dominant through such models as the TR2, TR3 and Herald. In 1960, Leyland Cars bought Standard Triumph and finally dropped the Standard name as all cars took the Triumph branding. The saloons (notably the 2000 and 2.5PI) had an angular look and the updated Herald/Vitesse models also shared some of the design components. 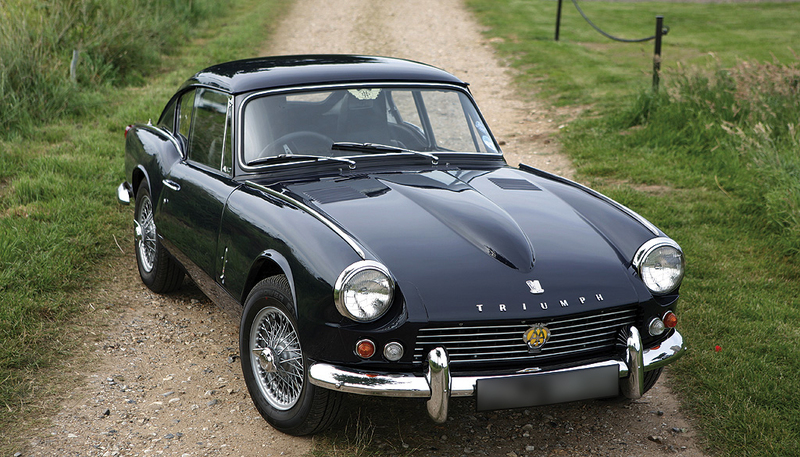 In the meantime the TR series continued and the Spitfire/GT6 were produced. The GT6 was built at a time when all sports car manufacturers were producing high performance versions of mundane sports cars. The GT6 was a competitor to the MGC and Sunbeam Tiger but not in the same league as the TVR Griffith or AC Cobra. Throughout the 1960s and 1970s as Leyland merged to form BL and the group was consolidating its brands, Triumph survived as a named division although their cars suffered the worst of BL’s quality problems. The Stag sports car was a classic example – it shared design components with the 2500 saloon but in their infinite wisdom they decided to design and build their own V8 instead of using the Rover engine that was part of the same group and used in the MGB V8. The Stag V8 was notoriously unreliable and some owners were known to swap them for Ford V6s. The reliability has turned out to be a production issue rather than an engineering one and many owners have been able fix the issues which were due to an incorrect coolant piping being fitted. This means that a car with matching numbers is highly prized today. 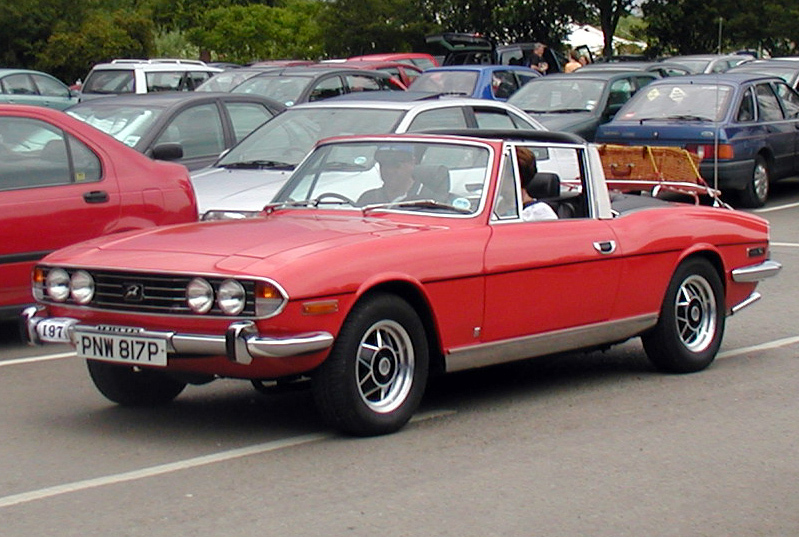 In the 1970s, Triumph also produced the Dolomite saloon and the TR7. The Dolomite was an average saloon but they did produce the Sprint version that was successfully raced and had a 16 valve head on the 4 pot block. 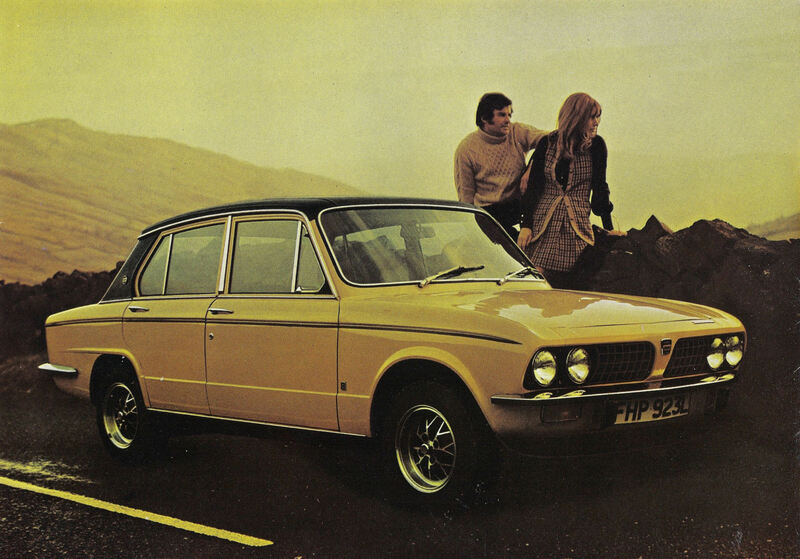 The Dolomite shared the same motor as the Saab 99 turbo and the heads were interchangeable. This meant that owners could be quite creative when modifying their cars for extra performance – i.e. using a turbo. I had a mate of mine who had a Dolomite Sprint when I was at university whilst I ran a TR7 – I had two them: one was used as a donor for the other after I bent the first one in an accident! My first one was a poo brown model with pin striping and the first owner had locked the lights up and then I pulled the engine, gearbox and other parts out of it to refurbish a red one. The TR7 was particularly bad from a quality perspective and was such a departure from the Michelotti (updated by Karmann Ghia) designed TR5/6 that many people were turned off. The TR6 was an evolution of the TR5 and both were beautiful. 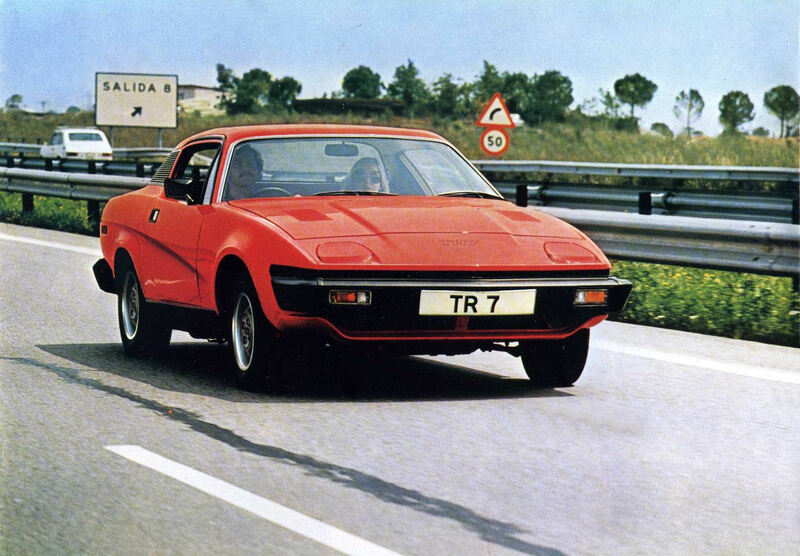 The TR7 was a product of it’s time – think angular Ferrari’s, Fiat X1/9 etc. A TR8 was produced as well in limited numbers with a Rover V8 slung in and there was also a convertible version. Specialists like Grinnall made V8 conversions too. Triumph TR7 – ah, reminds me of my student days! The other model that helped the demise was the Triumph Acclaim; basically a rebadged Honda built in Britain. Even with a good Honda design, it didn’t help the quality and the marque stopped production in 1984. BMW currently owns the name although they have no plans to build cars under that name or desire to sell it to someone who wants to use it! First published: 18th June 2015. Last updated (links): 14th September 2018.